UMMMM!!! Its almost middle/end of September! I’m half-way decorated for fall ( I love fall so much that its a two-tiered process of decorating, thankyouverymuch)! 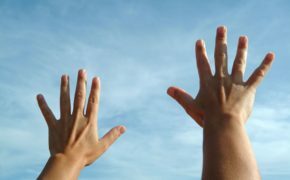 And I have YET to do my normal summer round up….I guess its ok, because I did cover the summer a few times WHILE it was happening…but for my own aging memory in a few years I’ll probably want this post. But, if you’re reading this and reading about the summer is gonna mess with your fall-vibes….please please pass on this post! This was the summer for swimming. We did a lot of it, thanks to my new obsession: my YMCA membership. And while the pool was 20 minutes from our house, it sported a pretty awesome water slide that kept our kids busy for days on end. 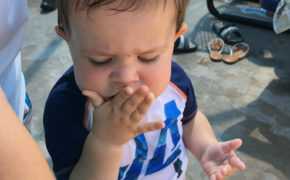 I know we did a lot of swimming because Justice went thru 2 and a half swim diaper packages, because, NO I did NOT potty train him which turned out to be the best decision ever when we were driving for 14 hours straight ( more on that in a minute). 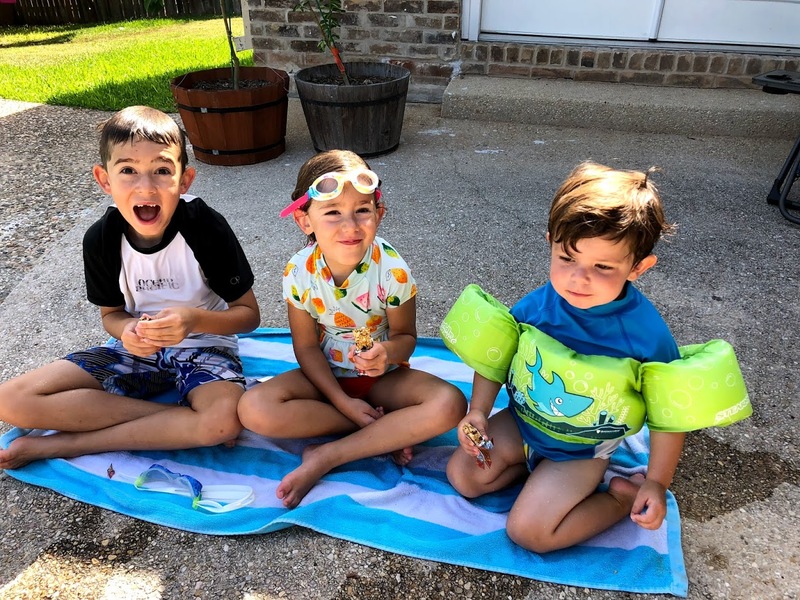 Swimming was a hit this summer also because we made new friends at swimming lessons and solidified old friends! I love, love the fun that is the two weeks of swimming lessons and I’ll be so sad when those days are over- thankfully then there will hopefully be swim team days and that will be equally as fun! This summer was for American Ninja Warrior. Unlike in past summers when a book series was the name of the evenings this year we sat around and watched people compete in obstacle courses. Lesson learned: Don’t pick a mediocre series for your summer book series ( while I love Beverly Cleary..I really do…her books did not take hold of us like past summer reads: Chronicles of Narnia, Little House on the Prairie…). But, I’m not totally sad about it. 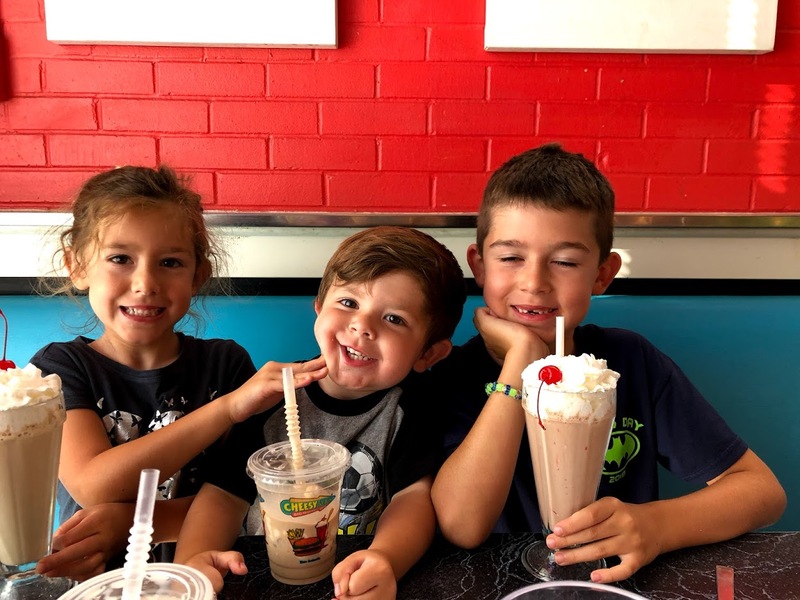 ANW provided the perfect theme for Ransom’s birthday party this year ( more on that later) and added a whole new level of “try new and hard things” attitude that I loved in my kids this summer! Ransom and Tabitha conquered all kinds of fears in rock climbing, swimming, bike riding and boogie boarding and it was so exciting to watch ( read: I was scared only 85% of the time). This was the summer for visiting grandparents…alone! Both Ransom and Tabitha had “weeks” ( sadly not full ones because of scheduling) with Papa and Spicy where they were spoiled to an inch of their lives. I know I’ll be hearing about “When I was at Papa’s house we did……” for the rest of the year. This summer was for charts! 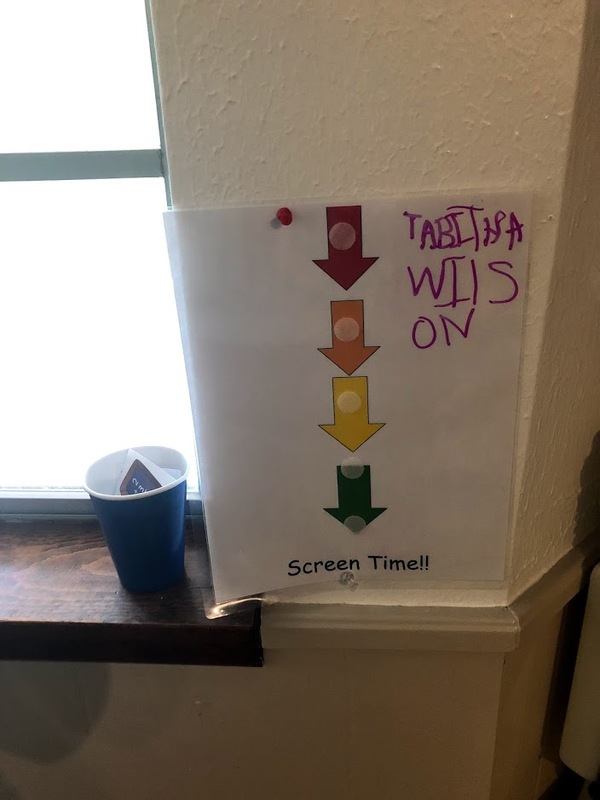 I made some handy-dandy charts that my kids had to complete every afternoon in order to get any screen time. This slight level of structure really helped our “slower” afternoon pace not turn into “I’m bored!” all the time! And thankfully when charts didn’t work, our Summer checklist did!! 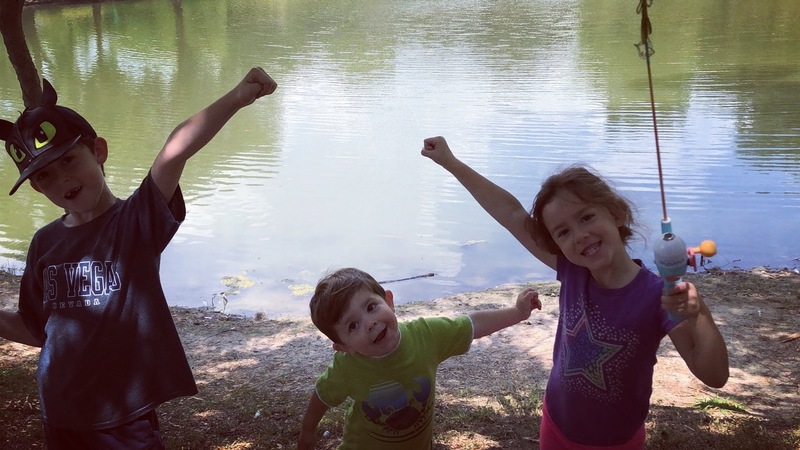 As a solid “J” in the meyers briggs personality test, I don’t do well with unplanned events, but summer is for adventure and I loved that we did things like drive 5 hours to go to a water park with cousins… or find a random pond to try fishing for the first time! 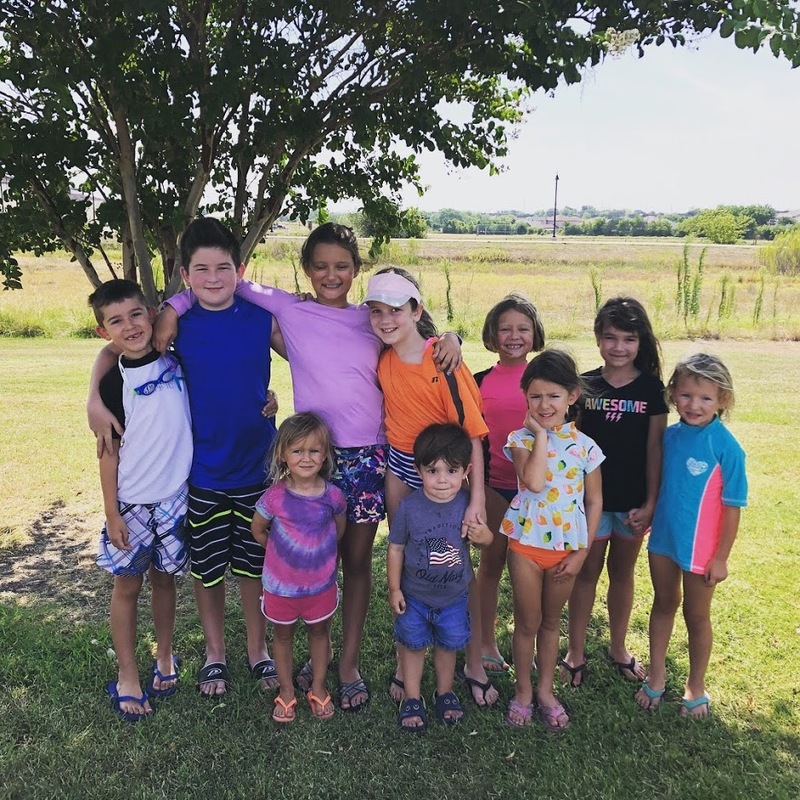 And that we also did full-on planned activities like pack up the car and drive to Alabama for a week with Brett’s very extended family ( as in I’m pretty sure 4th cousins were there…). Yes, the drive was looooong but the week at the beach with such a beautiful family was PERFECTION. Days on end at the beach with a cousin to play with at every turn. Allowing our children to be basically “free range” children ( minus that one time we found Ransom and Tabitha playing in the surf ALONE on the first day. UM NO.) where there is a comfortable buffer of a million aunts and grandmother figures around to keep things safe. The deep conversations, the sweet hugs, the very tasty ( and strong!) margaritas tempered with long long sessions of hymn singing ( in gorgeous 4 part harmony) was absolutely the BEST way to end the summer! We even threw Ransom’s 8th birthday party ( with his 2nd (?) 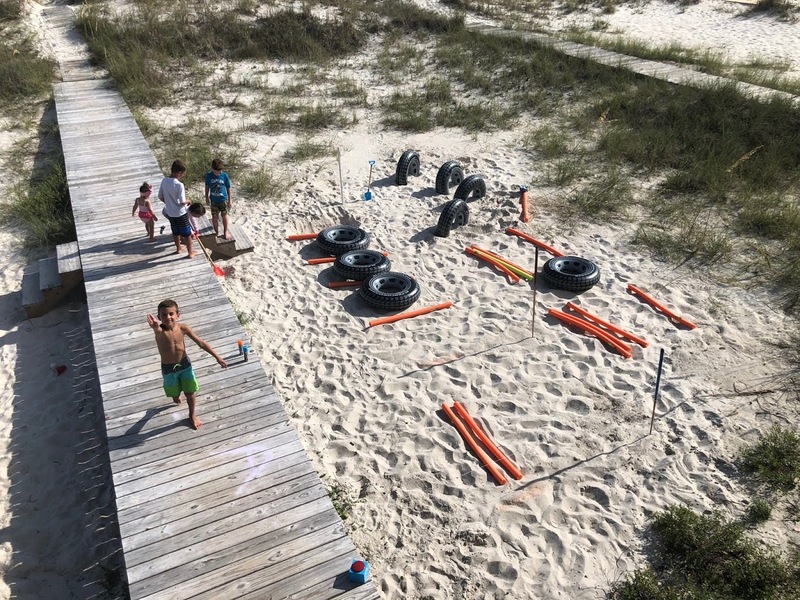 cousin Calvin who is only 10 days younger) on the beach with an American Ninja Warrior obstacle course made with blow up pool tires and noodles. It was just as I had invisioned it: All 11 kids competing ( even the 18 month old! haha!) 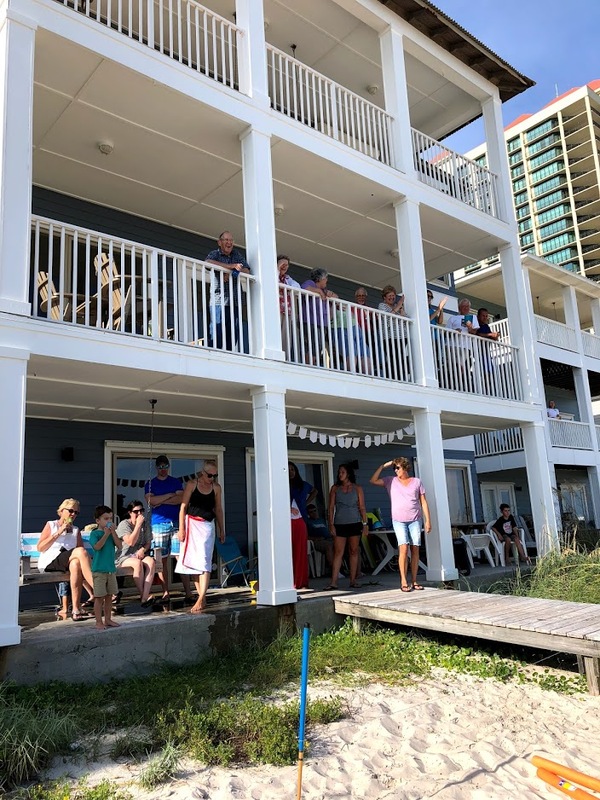 bouyed by the yells of support and clapping by all the older generations hanging out on the 3 story balcony of our beach house above…it was WONDERFUL! I loved every single second of it. 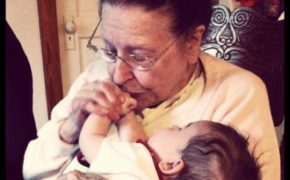 The reason for Brett having such successful family reunion turnout has been given to Brett’s great great grandmother who prayed over each of her children and their children every day. Now, as we face future generations I see those prayers passing on to our kids. I am so thankful that this is their legacy on both sides of the family. What a gift! And so our Summer was a roaring success!! And now to light a pumpkin spice candle and head straight into another lovely season!